Format: Teams play for a Championship in all divisions. Number of Games: All teams are scheduled 5 games each, plus top teams will play a 6th Championship game. Games consist of 4 (four) – twelve-minute running quarters. 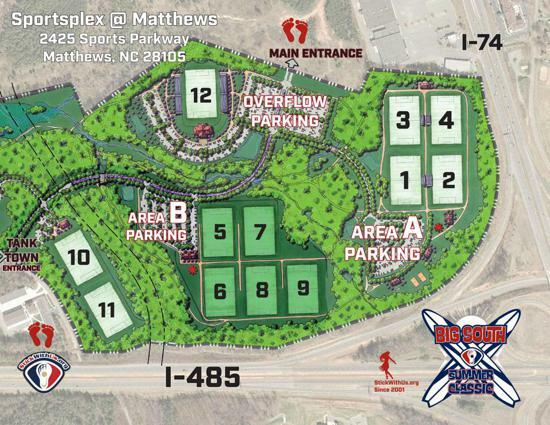 The BOYS Venue: ALL games in ALL boys division played at the Matthews SportsPlex – 11 turf field at ONE location with plenty of parking! – Best tourney venue in the South East. Championship games played on the brand new Stadium Field! All games played on sports turf & all games guaranteed!